Most people don’t realize everything that a Los Angeles personal injury lawyer can do for them. For example, the time after an accident can be an extremely difficult one. You’re hurt, you’re scared, and even if you’re lucky enough to be surrounded by loving family members and friends who care deeply about you, it’s natural to feel lonely. You may be laid up in a hospital recovering, or you may be trying to get back to your normal life at work. Nothing is going to feel the same for a time, if not forever. You will have new concerns and worries that you never really planned on having. The attorneys at the LA Injury Group can handle some of your concerns for you, giving you fewer things to worry about. After an accident, insurance companies never want to hear that you signed with a lawyer. They’d much rather that you tried the case yourself. Better still for them, they hope that you don’t even try to bring a case. They’d prefer that you just sign whatever settlement they put in front of you, right at the moment they get you. See, insurance companies know how you’re liable to feel in the wake of an accident. They want to take advantage of you at your most vulnerable. That way, you don’t get all of the money you deserve. The LA Injury Group makes sure that doesn’t happen. See, insurance companies want to dangle a settlement in front of you as quickly as possible so that you’ll get some money quickly. They know how disoriented you’ll be in the immediate aftermath of an injury. In fact, they’re absolutely counting on it. They innately understand how reassuring it can be to have money offered to you. Part of you will absolutely feel that if you take that money, it’ll be all right. You’ll have some money in your pocket. That’s how insurance companies take advantage of people. The LA Injury Group is committed to keep that from occurring, so that you get what you’re owed. The insurance companies have their own teams of professionals who know all about every kind of accident and personal injury. That first offer they extend to you is the absolute lowest number they can think of. Always remember: no matter how friendly the person from the insurance company is, they aren’t there on your behalf. They’re there on behalf of the insurance company. By that same token, they aren’t looking out for your interests… they’re looking out for that of the insurance company. They’ve done their job if they’ve gotten you to take a much smaller settlement than the lawyer team at the LA Injury Group would’ve been able to get you. Paradoxically, the bigger a settlement that the insurance liaison offers you before you sign with the LA Injury Group, the more you could get as compensation once you’ve hired the LA Injury Group. If the insurance company is offering you a lot of money at the outset, they know how bad your injury and case must be for them. They’d never do that otherwise. Hence, you can get everything you deserve once you bring the LA Injury Group Los Angeles personal injury lawyer team on your side to take your case. They don’t let the insurance companies bully you, disrespect you and lowball you. The insurance company has sent someone to be on their side. So, you deserve someone on yours. 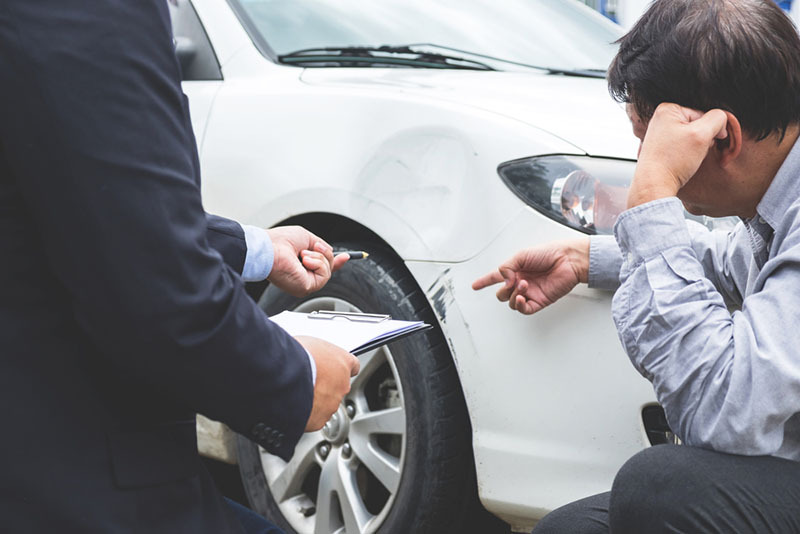 Another reason that you should absolutely not take the first deal offered by an insurance company liaison is that the insurance company employee (and the insurance company they represent) knows so much more about your kind of injury, accident and potential case than you ever will. They’ve been doing this for years. They’re genuine professionals, and this is their job. They’re going to know things that you, someone who has just been through a traumatic experience and suffered an awful injury, just won’t. Beyond that, you have a million other things on your mind. You have to focus on you recovery, your loved ones, your job and so much more – you don’t really have time to take on an insurance company and case all by yourself. Let the LA injury Group Los Angeles personal injury lawyer team do it for you. When you hire the LA Injury Group, you get a dedicated Los Angeles personal injury lawyer team that is entirely focused on your case. They don’t have to juggle a million different responsibilities like you do; they can focus solely on getting you, your family and your loved ones exactly what you deserve. So that way, it’s one giant burden lifted off of your mind. They can take care of the case while you take care of yourself. By hiring the LA Injury Group, you give yourself your own freedom back. That being said, the LA Injury Group doesn’t try the entire case without you, and then just tell you afterwards what you got from a settlement. Alas, too many other personal injury firms around Southern California do exactly that. They go into negotiations, and then they take the very first settlement that the other side offers. They don’t even wait; they just take the first thing put down on paper. Sure, that helps the attorneys – they get a few bucks immediately. However, that offer is rarely the best one for the client. If the client was just going to take the first offer, what did they need the attorneys for in the first place? The LA Injury Group never does that to their clients. Instead, the LA Injury Group Los Angeles personal injury lawyer squad makes sure that you, the injured party, are involved every single step of the way during the case. Nothing happens without you hearing about it. They take great pride in making sure that all of their clients are up to speed on the case every step of the way. When an offer is made during negotiations, you’ll hear about it. You’ll get all the ins and outs. You’ll be told the absolute truth with an objective eye. However, you’ll be told that absolute truth from someone who is wholly committed to fighting for you. The LA Injury Group doesn’t stop until their clients get the best deal. Usually, in fact, a strong majority of the time, that “best deal” comes from negotiation. The LA Injury Group has negotiated with insurance companies and others for many, many years. They have been in there before, and they know how to get you and yours exactly what you deserve. They don’t settle, but they fight for you – always with the focus on getting you exactly what you want. Loyal and committed, they understand that they’re your emissary in any negotiation. That being said, not every case ends in negotiation. When the case goes to court, the LA Injury Group is ready for that, too. They have experienced attorneys who know how to go into the courtroom and win. The other side is going to have incredible, high class attorneys on their side. You deserve to have the very same on yours. Big insurance companies have resources to burn on a case like yours, and they would rather pay their attorneys than pay you any kind of settlement. The LA Injury Group makes sure they pay you what you deserve. It’s never easy to take that first step to reach out to an attorney after you’ve been injured. During that difficult time, it’s more than understandable if all you want to do is sit around. However, you deserve to be free of worrying about your court case. Let the LA Injury Group handle it by scheduling a free consultation at their site or call them at (818)210-4558 for the Los Angeles personal injury lawyer team.